Today, 2-Ball refers to a specific type of clubhead design that is used in some of the golf putters on the market under the Odyssey Golf brand. 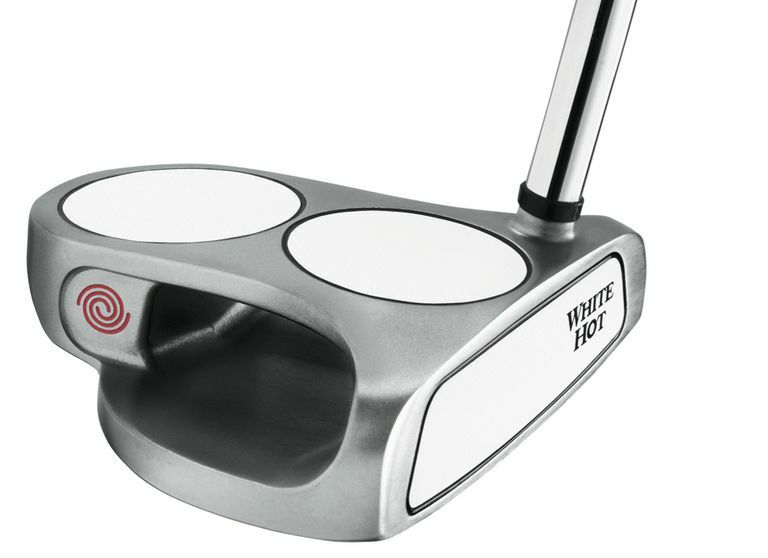 In 2001, the original 2-Ball - the Odyssey White Hot 2-Ball putter - was a putter model that set the golf equipment world on fire. The legacy of that original 2-Ball putter is, really, all the very large, geometric mallet-headed putters you see on the market today with strong alignment patterns on their crowns. And Callaway Golf - which has owned the Odyssey brand since 1997 - is still selling lots of 2-Ball putters. Whenever the company announces a new "family" of putters, that family often includes a 2-Ball option: a large, high-MOI mallet putter whose crown includes two white discs. 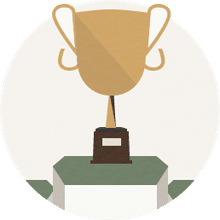 Those white discs on the putter head mimic golf balls (they are the same size as the circumference of a golf ball) so that when you place a 2-Ball putter down behind your real golf ball, you get the appearance of three golf balls lined up in a row. That was the real breakthrough of the original Odyssey White Hot 2-Ball putter in 2001: A very simple, yet very effective, alignment aid that actually worked. If "odyssey" is a word that describes your quest for better putting performance, it might be time for you to try the 2-Ball from Odyssey. Alignment is a snap with the 2-Ball. Weighting of mallet head helps pendulum motion. Urethane insert provides soft feel. Ball may push to right for many when first trying. The 2-Ball features a large mallet head about twice the size of most other putter heads. Two white discs, mimicking golf balls, make it appear as if three balls are in a row at address. More weighting to rear of clubheads helps reduce backspin at impact. Comes in standard lengths, and also mid (belly) and long (broomstick) lengths. A division of Callaway Golf, Odyssey's White Hot 2-Ball Putter seems to be all over the television screen these days. The putter is the hot item on pro tours in 2002, and it's been the hottest selling putter in pro shops, too. According to Golf Datatech, the 2-Ball is the best-selling putter this year. But does that mean the 2-Ball will work for you? In a word: Probably. If alignment is your problem when putting, you should definitely give the 2-Ball a try. "Alignment is the biggest problem for most golfers," says Vic Yannuzzi, Director of Golf at Northern Hills Country Club in San Antonio, Texas. "That's where the putts are made or missed for a lot of golfers." The 2-Ball's distinctive design features an expanded mallet - the clubhead is about twice as large as most other putter heads. (Ed. - Other companies quickly caught up and there are now many putters on the market with clubheads larger than the original Odyssey White Hot 2-Ball's.) But it has to be to accommodate the two white discs - mimicking two golf balls - that are back-to-back on the top of the clubhead. This alignment aid is what gives the 2-Ball its name. According to Callaway's research, more than 70-percent of golfers have a tendency to putt to the right of the hole. But in its own testing, Callaway says, 68-percent of golfers showed improvement in accuracy after switching to the 2-Ball. Yannuzzi also pointed out the "White Hot" urethane insert and the weighting of the clubhead as positives with the 2-Ball. The expanded mallet encourages a smooth stroke that keeps the clubhead stable throughout the swing. The urethane, Yannuzzi says, is "for feel and sensitivity. It provides a consistent, soft and durable putting surface. You get the same type of reaction each time. It's a nice feeling putter." But you're not going to buy it for the urethane insert. Many clubmakers are using inserts in their putter faces now, including urethane. Some of the Wilson Deep Red putters, for instance, feature a urethane insert and sell for around $100 less than the 2-Ball's retail price of $169.95. No, it's all about the alignment. And that's plenty for most amateurs. The Bottom Line: Numbers don't lie: Dozens of pro players made the switch to the 2-Ball in 2002 because of its alignment attributes. It's a club worth trying for all putting-challenged golfers. And today, many years after the debut of the original Odyssey White Hot 2-Ball, you still see other equipment companies copying the look. Over the years we've seen 1-ball putter crowns, 3-ball crowns, we've seen squares and multiple squares on top of mallet heads, arrows, pipes and other configurations. But all trace back to that original 2-Ball, and all are reaching for the same effect: creating a visual that the golfer sees in the address position that helps the golfer line up straighter and start the putt online.